There was a lot to be excited about in Chicago’s 51-20 beat down of Tennessee last Sunday, but perhaps the most impressive stat was Brandon Marshall’s three touchdowns. Marshall is 7 touchdowns on the season now, one behind leaders AJ Green and James Jones. He is also 4th in receptions and 2nd in yards. Let’s take a look at the way these plays broke down. On to the stills! On Marshall’s first touchdown, the Bears were facing a 3rd and 7 inside the red zone. Tennessee dropped 8 men in a zone coverage, rushing three. I know the Bears had 5 men blocking three, but the way they blocked was important.Both ends are double-teamed, leaving Garza 1-v-1 with the nose tackle. Garza guides the tackle to the right side of the offense, giving Cutler a lane to step up in. The reason the throwing lane was important (other than keeping Jay upright, of course) is because of the options it gave the Quarterback. In this still, you see that as Jay has thrown the ball, he also could’ve checked down and thrown a back-shoulder throw to Matt Forte (who was lined up as a WR on the outside), and Forte is in position to block if Jay elects to run. Either tucking and running or checking down to Forte would’ve most likely ended up as a first down, but not a touchdown…But in typical Jay fashion, the riskiest play yields the highest rewards. Marshall made a great adjustment on his route, which originally had him stopping on the goal line. When he saw Cutler step up, he ran towards the back of the endzone, and Tennessee’s safety took his eyes off of the WR. Cutler threw the ball to where only his man could catch it, and Marshall went up to haul in his first TD of the game. Marshall’s 2nd TD came early in the fourth quarter. With the Bears lined up in a Max-Protect formation, the Bears WRs had 1-v-1 matchups on the outside with a single-deep safety (supposedly) preventing deep passes. Marshall runs a go-route, and beats his man early. The line held-up well here, as they should have, and Marshall created just enough separation with his left arm in mid-stride. The defender went straight to the ref after the play to complain, and may have had a case, but the ref saw it differently. Cutler may have thrown the prettiest pass he’s thrown all season on this play. Deep pass against double coverage, and Cutler dropped the ball perfectly into Marshall’s hands in stride over the top of the coverage. Marshall’s 3rd and final TD came almost one minute after his previous one according to the game-clock, and Mike Tice had noticed a trend in the defense at this point in the game. Marshall is on the left of the still, running a crossing pattern in front of the Tennessee secondary. The Bears had five eligible receivers on this play, and when the defense is in a zone this close to the endzone, they have to get pressure quickly. Bears fans know that if your defense doesn’t get pressure, a zone is ineffective. Cutler does have to slip out to his right to allow a little more time on this play. On this final still, look at the throwing window Cutler has. No one to his right, no defender within 5 yards of Marshall. I know the game was already decided and the Titans felt like they had lost long before this score, but how in the world do you let a WR who already has over 100 yards and 2 TDs this wide open? 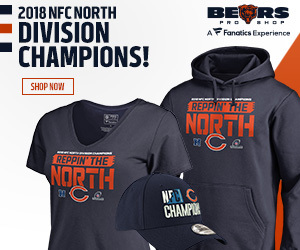 Bears fans, before we get too far ahead of ourselves, we played an inferior opponent on Sunday. But you cannot deny the rapport Cutler and Marshall have with each other. We’re going to need to see this type of scoring offense in the next few weeks, as the schedule gets tougher. Forum Member 94SupraTT has the three Marshall TDs as well as other week 9 highlights inside our forum!